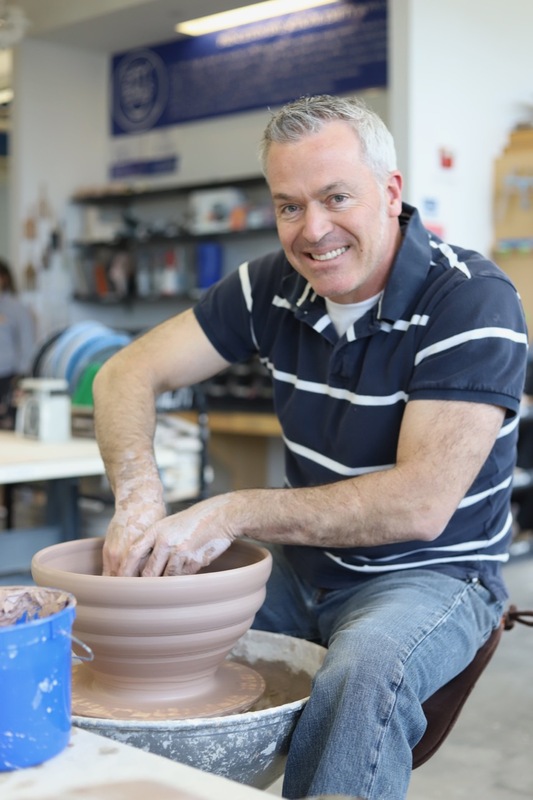 Launched by visual arts instructor Eric Rempe last year, the Empty Bowls benefit event provided more than 22,000 meals to Mercer County area neighbors in need. According to Feeding America, food insecurity impacts every county and congressional district in New Jersey, and nearly one in seven children struggles with hunger. For the second year in a row, the Empty Bowls fundraiser seeks to address hunger in New Jersey through a School-wide service learning effort that starts with students in Rempe's 4th Grade, 8th Grade, and all Upper School classes crafting ceramic bowls, with some faculty and staff participating as well. Last year, more than 300 unique bowls were made. On the evening of April 11 from 5:30-7:30pm in the Campus Center, the PDS community is invited to purchase a bowl and enjoy a dinner donated by local restaurants. All bowls are priced at $25 and selection is made on a first-come basis. All proceeds are donated to Trenton Area Soup Kitchen (TASK) and to Feeding America, with funds earmarked for the NJ region. Thanks to partnerships and donations, and an emphasis on healthy, high-quality food, roughly six meals will be provided for every dollar donated. Empty Bowls is a worldwide effort, first launched in Michigan in 1990. At his last teaching job in San Diego, Rempe spearheaded the benefit, raising enough money over seven years to provide a half million meals. The creative process is tailored to each age group, explains Rempe: "Lower Schoolers make slab-built bowls, by draping a sort of 'pie crust' over a form. Middle and Upper Schoolers work on the potter's wheel, apply slips and glazes, then trim, carve, and fire their bowls in the kiln." Some students opt to craft their own bowl from start to finish, while others fashion a bowl and leave it on the "community table" for someone else to pick up where they left off. "This year," says Rempe, "we have made 350 bowls and hope to make an even greater impact." In addition to being a measurable and meaningful service learning opportunity, Empty Bowls is a special evening for the PDS community to come together, celebrate the creativity of our students, and share a communal meal to benefit a vital cause. We hope to see you there! Related: Learn about the chemistry of ceramic glazes in a recent post from the Miss Fine's Center blog! Read your Spring 2019 PDS Journal magazine online! [ ... ] about Read your Spring 2019 PDS Journal magazine online!